This map is an updated version (2014) of the one that appeared in the original post in 2008. In particular it shows the new islands. 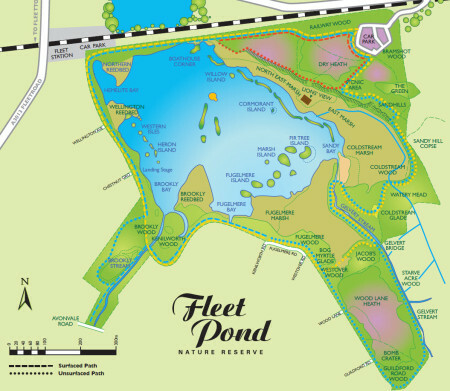 The recommended walks around Fleet Pond are marked by colour-coded posts (see also the map above) and introduce a selection of wildlife habitats. Please keep to the well-used paths. The Red Route will take you past The Dry Heath, one of the two open heathland areas, along wood-land paths. The Route visits Boathouse Corner with its fishing jetty designed for wheelchair use and the Picnic Site with a good view of the lake, the fringing reedbed and the open marsh. Please note that the section of path between Boathouse Corner and the Picnic Site is a woodland walk with many tree roots to trip the unwary. This route takes a full circuit of the lake. The northern and western footpaths are suitable for wheelchairs and children carriers in all but the wettest weather. Excellent views of the lake can be had from the northern and north-western footpaths and from Chestnut Grove landing stage. The path crosses Brookly Stream, one of the two feeder streams into the lake. The oldest section of Fleet Pond’s woodlands, at Sandhills, has good specimens of oak and Scots pine. A carpet of bluebells appears in early spring. Coldstream Glade attracts butterflies, bees and other insects and Sandy Bay is a popular spot for people, with informal seats and good views. At Sandy Bay, the Gelvert Stream, enters the lake. Near Westover Road access point, you will pass through an open glade and, on a warm sunny day, smell the pungent aroma of bog myrtle. This follows the Yellow Route but extends to include Brookly Wood and Wood Lane Heath. Brookly Wood was once a private garden and contains some of the Reserve’s best beech trees. There are also “exotics” here: bamboo, rhododendron and laurels. The footpath through Brookly Wood is narrow and can be very muddy in winter. Wood Lane Heath is a moist heath. Late July and August are the best times to see the heather in flower. The footpath skirts the heath and is informal but firm. 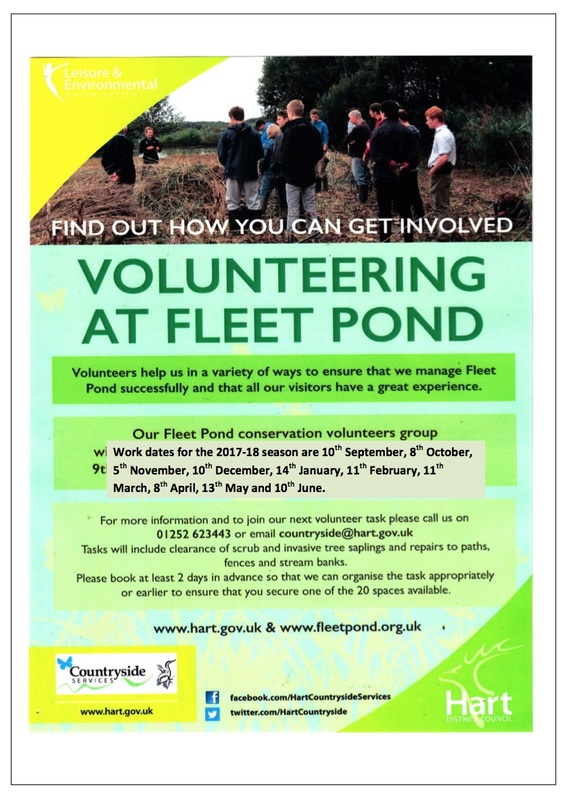 There will be a volunteer event at Fleet Pond this coming Sunday and all are welcome to attend (see below for registering). We meet as usual at the Countryside Workshop, Old Pump House Close, Fleet, GU51 3DN at 9.15 a.m. Please park in Kenilworth Road as parking is very restricted at the workshop. The Sunday volunteer tasks are supervised by a Hart Countryside Ranger together with members of Fleet Pond Society. 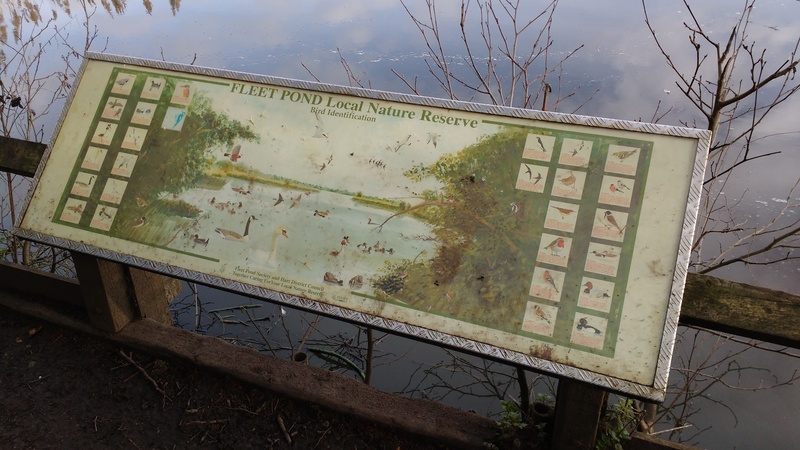 All photographs must have been taken at Fleet Pond Nature Reserve. Note: If your photograph is a close-up you need to also include a wider shot that can confirm the location at Fleet Pond. Up to 3 photographs per person. All photographs received will be acknowledged and may be used by FPS for any purpose it chooses. Closing date : 6th January 2019. The Rose Bowl award is donated by Fleet Photographic. The taking of photographs using drones or aerial cameras is prohibited. The winners of the competition will be announced at the FPS AGM in February 2019. The direct link to the Hart Lottery page for FPS is here. Taking a bag of bread down to a Pond, river or canal and feeding the swans, geese, ducks and seagulls is something that has been done for generations. What could be better for all of us than enjoying time out in the fresh air and feeding the ducks. Better for us, yes, but as far as bread goes, not better for the swans, geese, ducks and seagulls etc. It is proven that feeding bread to these hungry birds is not a good thing. Although it fills them up, bread has very little nutritional value for them and is doing more harm than good. 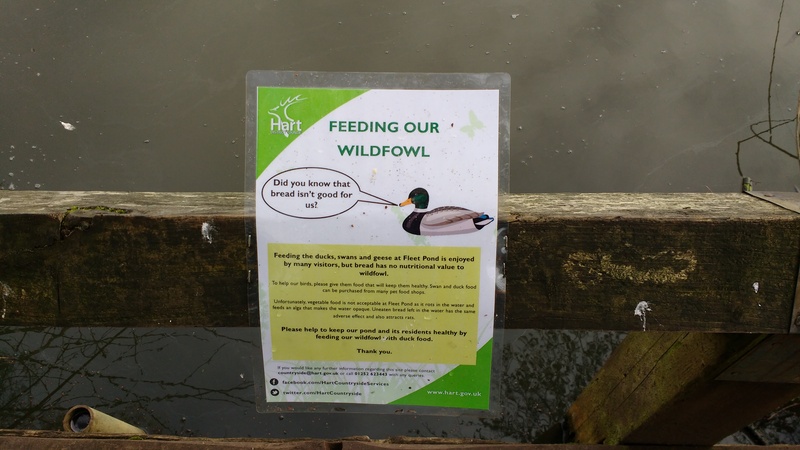 The Countryside Rangers have issued a new poster (see above) encouraging visitors to feed the wildfowl with pelleted duck food, available from most good pet stores. It’s just as much fun and you have the happy feeling of knowing that you are feeding them well. 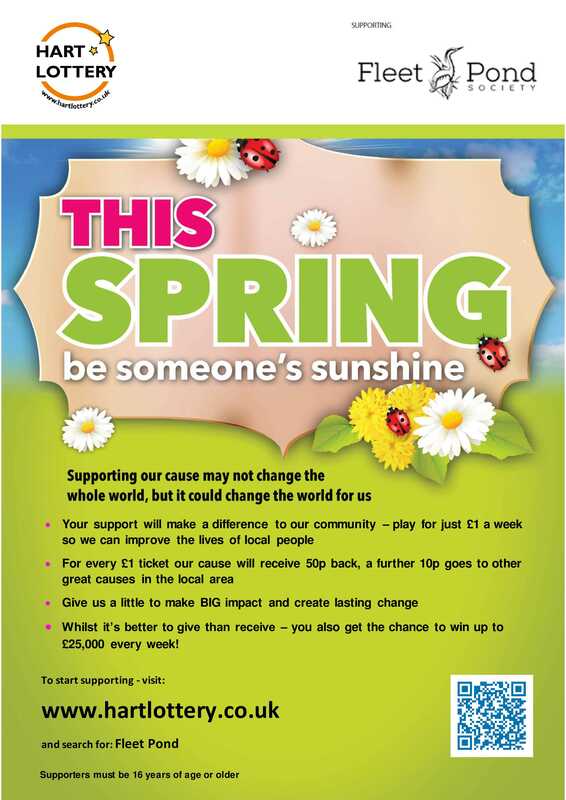 Please look out for the posters on the noticeboards and jetties around the Pond.